Contemporary art biennial returns with more artists, more programming, and more opportunities to explore the desert. From Desert X's inaugural year in 2017, the Mirage by Doug Aitken was an awe-inspiring site. The sheer ambition of Desert X triggers a search for the right metaphor. 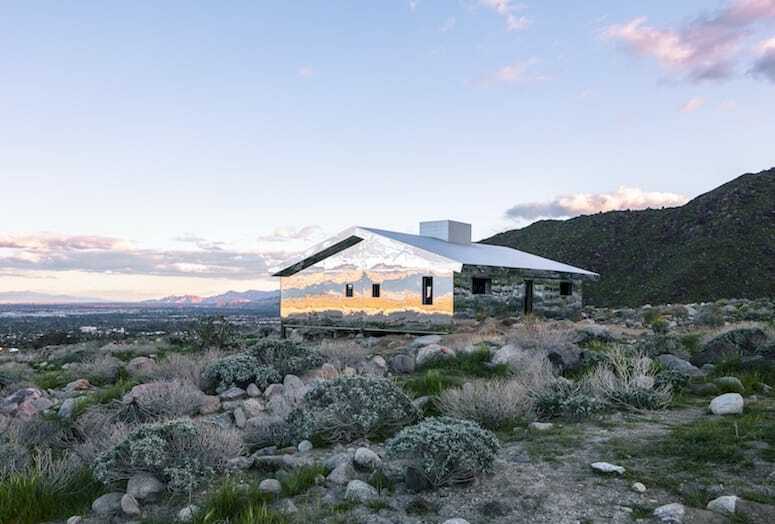 It is a mirror held up to the transition zone between the Mojave and Sonoran deserts, reflecting the real and romanticized versions of both. A quest to capture that which is intrinsically elusive. A road trip, spinning from the crisp midcentury rooflines of Palm Springs to the wilder territories of hills and sand. It’s an excuse for art lovers to spend time outdoors, away from the mental and physical walls of galleries and museums. It emerges alongside the wildflowers, a super bloom of art and nature. • View the list of Parallel Projects during Desert X. Click HERE. The 2017 debut of Desert X was a breakout success, thanks to high-profile artists, a high-profile artistic director, Neville Wakefield, and a hefty dose of Instagrammability. Davis estimates that 200,000 people attended, five times what they had projected. Phillip K. Smith III, The Circle of Land and Sky from 2017. The watchword for 2019 is expansion — more artists, mediums, partnerships, staff (co-curators Amanda Hunt and Matthew Schum joined Wakefield) — and more geographic scope. The inaugural locations ranged from Whitewater Preserve to Coachella. This year’s footprint extends to the Salton Sea and Mexico, complemented by 15 “parallel projects” from Joshua Tree to Pinyon Pines. To ensure that it’s not merely a trophy hunt for the perfect selfie, programming also expanded to include more artist talks, docent tours, and a bilingual website. What was a one-day symposium in 2017 has grown to three days of panel discussions and events at the Palm Springs Art Museum, Sunnylands Center & Gardens, and at art installations. Organizers have teamed up again with Digicom Learning of Palm Springs, allowing student filmmakers to follow six artists, tracking their work from concept to completion. The documentaries will be shown on the Digicom website and social media and at Digicom’s annual film festival May 17 at Palm Springs High School. Site specificity is the reason Desert X exists. Look for 19 installations this year, plus two special projects, including a digital piece from Swedish artist Johannes Heldén. The roster features more female artists, more diversity, and more exploration of environmental, social, and political issues. • Cecilia Bengolea, an Argentinean performance and video artist based in Paris, integrates dance with sculpture. 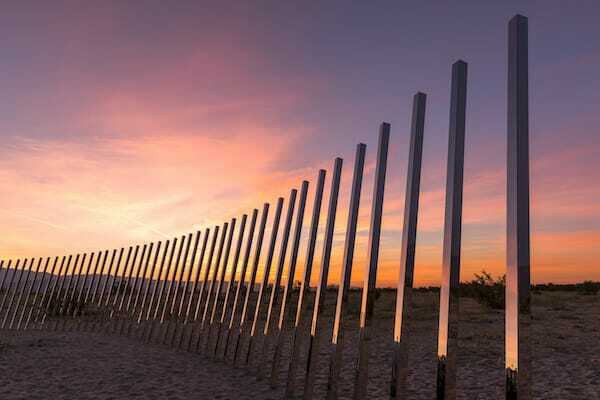 • Iván Argote, a Colombian artist based in Paris, has installed A Point of View, an interactive sculpture that will prove to be one of the most compelling installations in Desert X. The brutalist form refers to the pyramids, its steps contain messages in English and Spanish, and its platform projects the viewer into the landscape. • Los Angeles-based artist Sterling Ruby’s fluorescent orange monolith, SPECTER, appears as an apparition, as if someone deleted a portion of the landscape using Photoshop. • Acknowledging that the desert was under water six million years ago and, with climate change, could be again, the Danish collective Superflex built a form that is equally hospitable to human and marine life. Dive-In, a nod to another extinct species, the drive-in movie theater, will host screenings during Desert X. 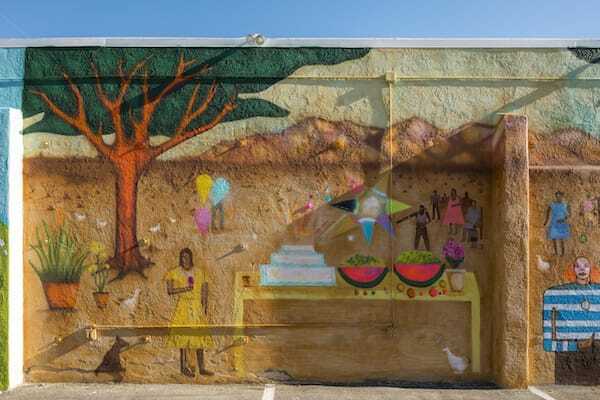 Additional artists include Iman Issa, Cara Romero, Postcommodity, Gary Simmons, Armando Lerma, Cecilia Bengolea, Eric Mack, Steve Badgett and Chris Taylor. Armando Lerman created La Fiesta en El Desierto in 2017. Artist Norma Jeane’s Shybot actually disappeared for a year until it was found by Kyle Gomez, an off-roading Cathedral City resident. As a metaphor for Desert X, Wakefield offers ShyBot, the errant six-wheeled roving robot created for the first exhibition by Italian artist Norma Jeane. 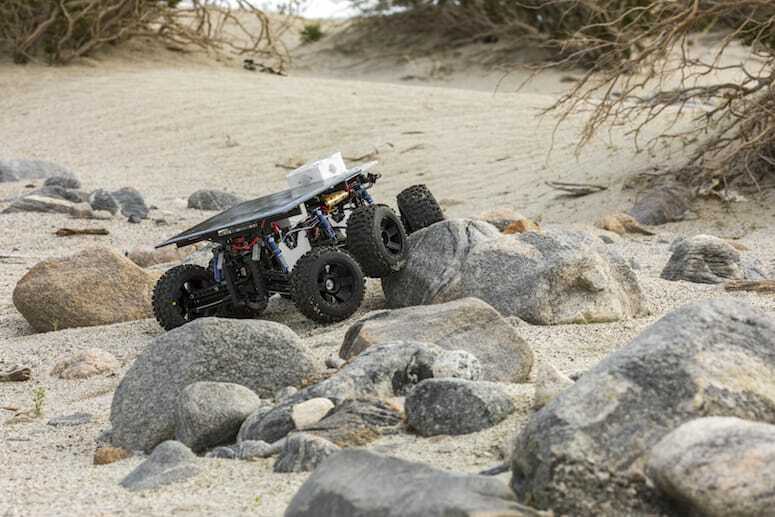 ShyBot was programmed to avoid human contact — which it did so well that it disappeared for more than a year until it was discovered by Kyle Gomez, an off-roading Cathedral City resident. Now refurbished and reprogrammed, ShyBot is back, loose somewhere in the California desert. For more information, visit desertx.org.